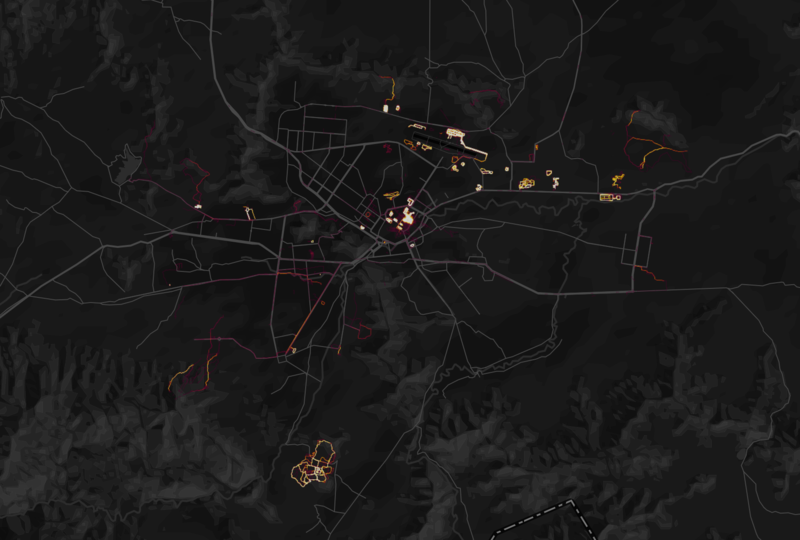 Mapping Radiation Levels: Toward a Vigilante Cartography or a Model of Data-Sharing? –and even extending into parts of the Atlantic ocean, in ways that generated considerable panic as a density of radioactive waste moved toward the bucolic seas of Hawai’i–as if to create a sense of the terror of the contamination of the natural setting by radioactive plumes. There was a sense that the natural disaster could be recorded in real-time, reflecting the extent to which Google Maps had changed our expectations for the mappability of global phenomena, and the visibility of fears of global contamination that could be registered and recorded as a real-time apocalypse as everyone could be their own prophet of the end of times on the platform that it allowed. The news ecology itself seem to have shifted, indeed, as what was undeniably an environmental disaster with potential global import if not an event with potentially massive environmental consequences was played down in the mainstream media and by science reporting agencies, in ways that led alternative media to promulgate all the more alarmist narratives of radioactive fish off the United States, die-offs of seafood, and radiations on beaches in California and Oregon and the image that the pristine seawaters of Hawai’i had become a sort of epicenter where all radioactive waste had accumulated and come to rest, as if to confirm the extent of technological disaster. The maps suggested a sense of atmospheric proximity revealed in radioactive plumes, to be sure, that generated multiple fake maps, designed as forms of fear-mongering to accentuate the proximity of radiation in the environment, using an undated map with the NOAA seal to suggest the spread of something from Japan–and folks assumed it was radioactive, given the climate online–although it was in fact a map measuring effects of a March 11 2011 tsunami, provoked by the Tohoku earthquake on wave height and he communication of wave-energy across the Pacific–perhaps more of interest to surfers than those fearing fallout. For the explosion created huge challenges for mapping a sense of global radiological risk, far transcending any place or the site of its explosion: the greatest levels of radiation were far removed from the site of the disaster, at the same time as the contamination on the ground, where radioactive deposits were far more intense in relation to geographical proximity. Despite the far broader time-lapse required for the radioactive plume to travel by ocean currents across the Pacific–here shown after two and a half years–based on water samples taken in 2013, which, if far lower than limits in drinking water at 1 Becquerels/cubic meter, were projected to peak to 5 in 2015-16–far less than you might eat in a banana, or experience in a dental x-ray. Discontinuities trumped continuities, however, in the levels of Cesium 134–the isotope that was the fingerprint of the Dai-ichi explosion–confirmed the extent of the diffusion of radioactive isotopes linked to the Fukushima reactor, by 2015, contaminated not only Canadian salmon, as tracked at the University of Victoria, but spread across much of the Pacific ocean, leaving an incredible intensity of the fingerprint isotope linked to Fukushima Dai-ichi–Cesium-134–in offshore waters, which perhaps recirculated in the Alaskan gyre, and the radioactive plume was projected to reach American shores some 1,742 days after it was released. If still detectable in shellfish sampling as well as salmon, in 2015, the dispersion of radiation made a delayed landfall to the Pacific coast in late 2016, much as the arrival of isotopes across the Pacific was recorded–raising questions of the travel by water of Cesium across the Pacific. and a rise in thyroid cancer in California that follow no distinct geographical pattern–but may be due to pesticides, agricultural contamination, or other waste. An assembly of multiple static and dynamic maps might assemble an otherwise ‘hidden map’ of local levels of radiation, however, and to reveal or expose otherwise hidden local dangers populations face from radiation leaks. The notion of a shared database in cases of eventual emergency that can be regularly updated online suggested a way of monitoring and reacting to panic levels of the dispersion of radiation from the nuclear explosion, and indeed to measure the unclear relation between proximity to a blast and the intensity of remaining radiation and radioactive dangers. Although the measurements of danger are debated by some, mapping radiation levels provides a crucial means to confront meltdowns, the breaching of chambers’ walls, or leaks, and to define limits of danger in different regions. Interestingly, the map stands in inverse relation to the usual mapping of human inhabitation: rath er than map sites of habitation or note, it tracks or measures an invisible site of danger as it travels under varied environmental influences in ways hard to predict or track. Although the notion of what such a disaster would be like to map has been hypothetical–and is, to an extent, in datasets like the National Radiation Map, which use the Google Earth platform or available GIS templates to diffuse information not easily accessible. This is a huge improvement over the poor state of information at the time of the threatened rupture of the containment structure of the Three Mile Island in Harrisburg PA in 1978, when no sources had a clear of what radius to evacuate residents around the plant, or how to best serve health risks: if a radius of 10 miles was chosen in 1978, the Chernobyl disaster required a radius of over the double. The clean up of the plant went on from 1980 to 1993; within a 10 mile radius, high radiation levels continued in Harrisburg today. 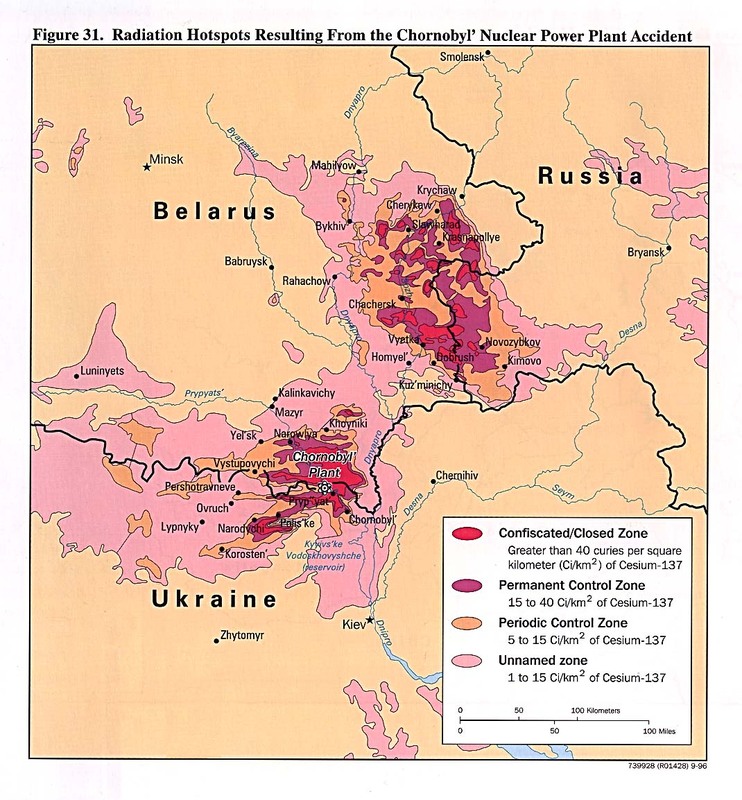 The larger zones that were closed around the more serious and tragic Chernobyl Nuclear Power Plant that in fact exploded in April 1986 led to a clear Zone of alienation that was evacuated three days after the explosion, and considerable fear of the diffusion of radioactive clouds born in the environment to Europe and North America. The irregular boundary of immediate contamination, including pockets of radiation hotspots not only in Belarus, but in Russia and the Ukraine suggest limited knowledge of the vectors of contamination, and imprecise measurements. This raised a pressing question: how to render what resists registration or simple representation–and even consensus–on a map? And is this in any way commensurate with the sorts of risks that maps might actually try to measure? 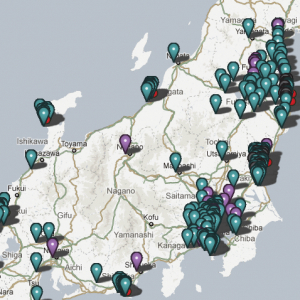 The tragic occurrence of the 2011 Fukushima meltdown raised similar questions, but converged with a new basis to define an internet-based map of the region. If the incident provided a case-in-point instance of ready demand for maps, the availability of a large number of online access in the region led to a considerable improvisation with the value of a crowd-sourced map not defined the local government or nuclear authorities, but by the inhabitants of the region who demanded such a map. The accident that resulted from the tsunami no doubt contributed to a resurgence and perfecting of the crowd-sourced map both in the United States and, in a more flexible way, Japan, as websites try to refine the informative nature carried in radiation maps to create an informative response by open-access maps that can quickly register the consequences of nuclear disaster–or indeed detect such a leak or structural compromise–in the age of the internet, and offer a reassuring image (or a cautionary image) adequate to meet with the invisible and intangible diffusion of radiation in the local or regional environment. 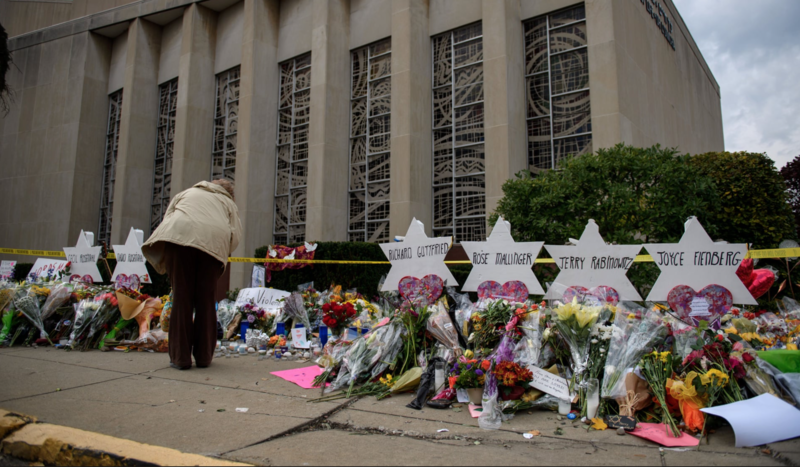 Demand for such online databases reveal and feed upon deeper fears of an official failure to share such data. Indeed, the drive to create a map of some authority has dramatically grown in the light of recent radiation disasters that have not been mapped earlier, in part because of liability issues and because of fears that government protection of the nuclear industry has compromised their own responsibility. If the growth of online sites is a sensible and effective use of data-sourcing on an open platform created by internet providers, it is also one no doubt fed by a paranoid streak in the American character stoked most heavily these days by folks on the Right. I’ve decided to look at two examples of these maps below, both to reflect on the nature of a crowd-sourced map and to suggest the plusses and minuses of their use of a GIS framework to visualize data. 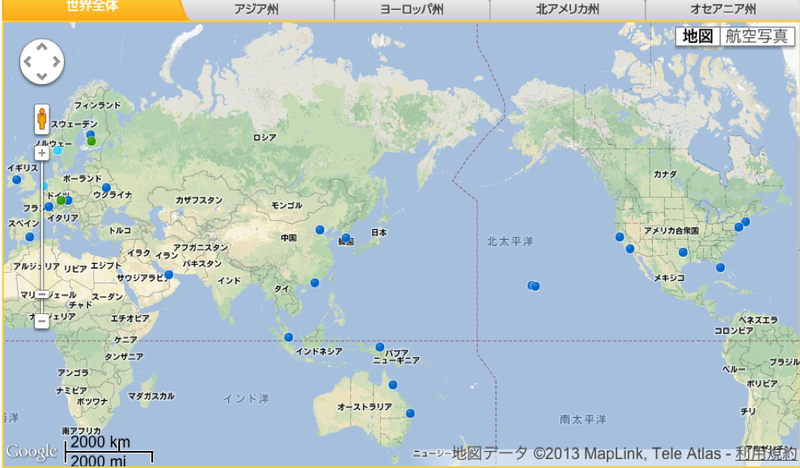 The emphasis on the map as a shared database and resource to monitor and publicize the sensitive information about radiation levels has unsurprisingly increased by the recent threat of contaminated waters that breached the containing walls during the meltdown of the Daichi-Fukushima reactor in March 2011, and also of the difficulties that providing a reliable map of radiation creates: although reactors are licensed by governments and monitored by government agencies, debates about the public dangers that reactors pose concern both the danger levels of radiation and the ability to collect exact data about their spatial distribution, and communication through waters, air, and other environmental vectors. The ability to upload such measurements directly to data-sharing platforms provides a new access for the relatively low-cost creation of maps that can be shared online among a large group of people in regularly updated formats. Given the low-cost of accumulating a large data-set, Safecast concentrated on devising a variety of models to visualize distributions along roads or by interpolating variations in existing maps. The group-sourced website showing regional and local fluctuations are not visually or cartographically inventive, but pose questions about using data feeds to reveal a hidden topography, as it were, of radiation across the country or landscape–as if to remedy the absence of an open-access trustworthy source of this information local governments would sponsor or collate. Against a field that notes the sites of reactors by standard hazard-signs that designate active reactors, viewers can consult fluctuating readings in circled arabic numbers to compare the relative intensity measured at each reporting monitor station. While rudimentary, and without adjustments or standardized measurements, this is an idea with legs: the Safecast Project proposes to take mapping radiation in the environment along a crowd-sourced model–an example of either a pluralization of radical cartography or a radical cartography that has morphed into a crowd-sourced or “vigilante” form of mapping radiation levels. 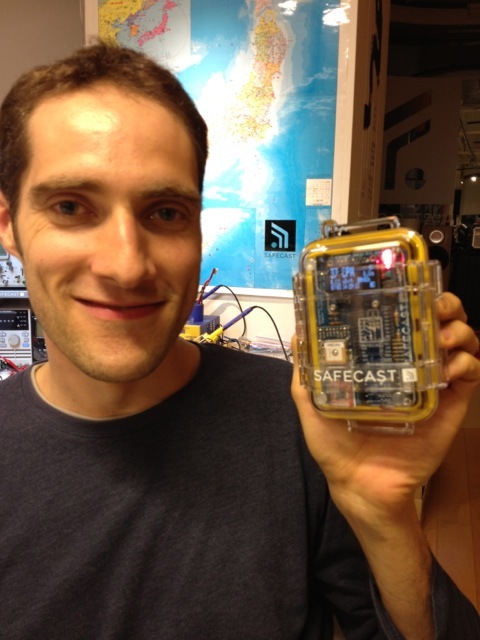 Safecast wants to create a “global sensor network” with the end of “collecting and sharing radiation measurements to empower people with data about their environments.” Its implicit if unspoken message of “Cartography to the People!” echoes a strain in American skepticism, if not paranoia, about information access, and fear of potential radioactive leaks–in a counter-mapping of USGS topographic surveys, the movement to generate such composite maps on the internet is both an exciting dimension of crowd-sourced cartographical information, and a potentially destabilizing moment of the authority of the map, or a subversion of its authority as an image produced by a single state. The interesting balance between authority and cartography is in a sense built into the crowd-sourced model that is implied the “global sensor network” that Safecast corporation wants to construct: while not readily available in maps on access to government-sponsored sites, those interested in obtaining a cartographical record of daily shifting relative radioactive danger can take things into their own hands with a handy App. 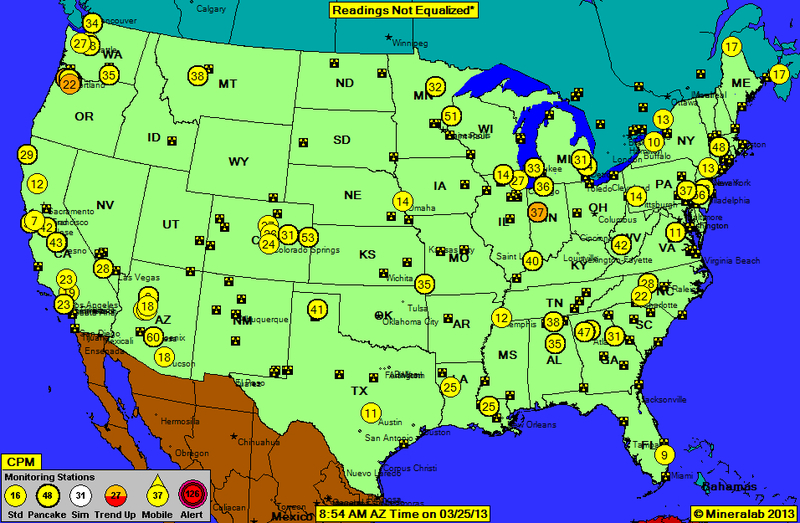 The specific “National Radiation Map” at RadiationNetwork.com aims at “depicting environmental radiation levels across the USA, updated in real-time every minute.” They boast: “This is the first web site where the average citizen (or anyone in the world) can see what radiation levels are anywhere in the USA at any time.” As impressive are the numbers of reactors that dot the countryside, many concentrated on the US-Canadian border by the Great Lakes, as in Tennessee or by Lake Michigan. 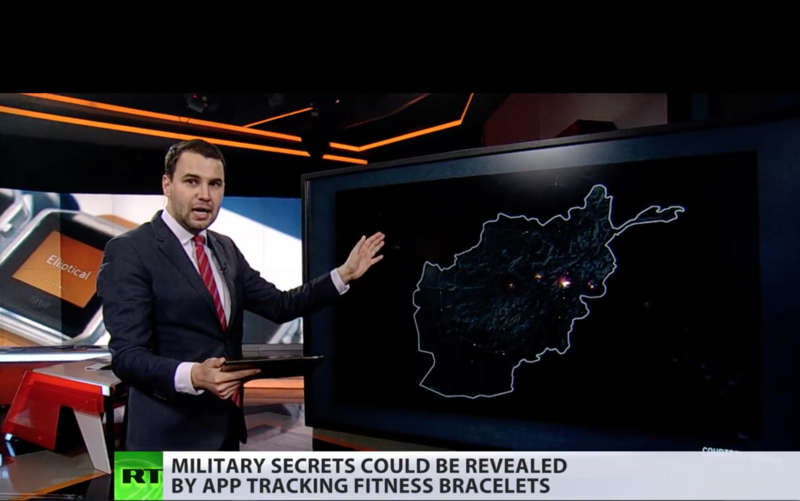 Although a credible alert level is 100, it’s nice to think that each circle represents some guy with a Geiger counter, looking out for the greater good of his country. The attraction of this DIY cartography of inserting measurements that are absent from your everyday Google Map or from the Weather Channel is clear: self-reporting gives a picture of the true lay of the radioactive land, one could say. This is a Jeffersonian individual responsibility of the citizen in the age of uploading one’s own GPS-determined measurements; rather than depending on surveying instruments, however, readings from one’s own counters are uploaded to the ether from coordinates that are geotagged for public consumption. Of course, there’s little level of standard measurements here, as these are all self-reported based on different models and designs–they list the fifteen acceptable models on the site–in order to broadcast their own data-measurements or “raw radiation counts,” which makes the map of limited scientific reliability and few controls. 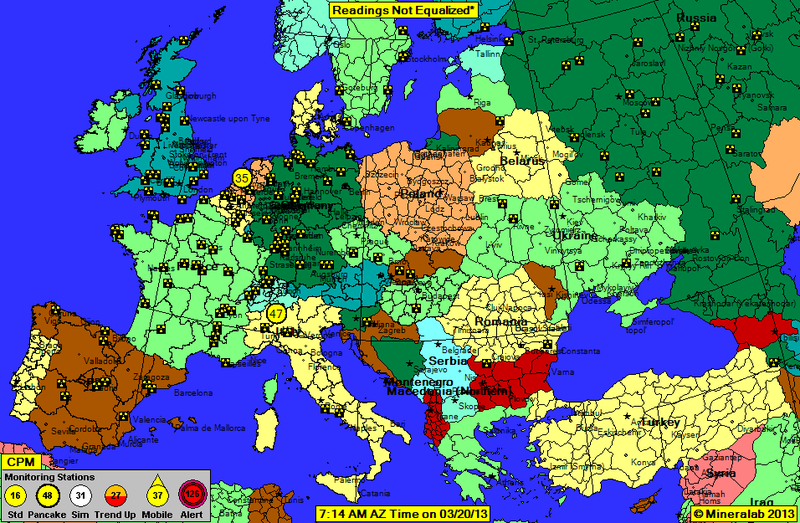 So while the literally home-made nature of the map has elements of a paranoid conspiracy–as most any map of nuclear reactors across the country would seem to–the juxtaposition of trefoil radiation hazard signs against the bucolic green backdrop oddly renders it charmingly neutral at the same time: the reactors are less the point of the map than the radiations levels around them. 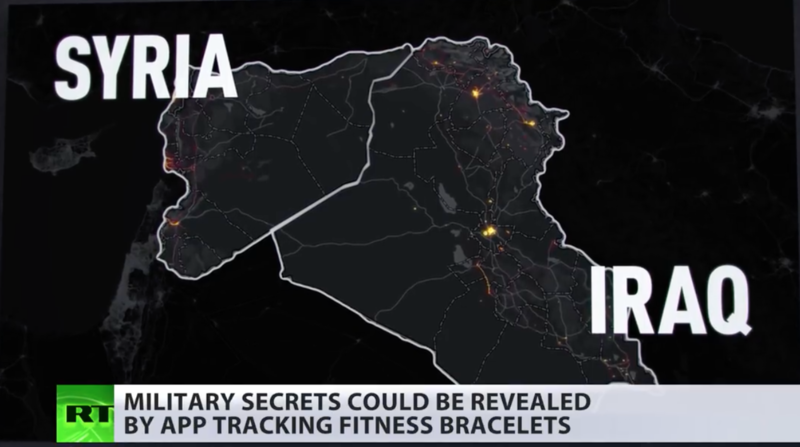 But the subject that is mapped is anything but reassuring. When we focus on one region, the density of self-reported sites gains a finer grain in the Northeast, we can see the concentration of hazard signs noting reactors clustering around larger inhabited areas, oddly, like the ring around New Jersey, just removed from New York, the nuclear reactors in the triangle of Tennessee and Virginia, or those outside of Chicago and in Iowa, and one sees a somewhat high reading near Harrisburg PA. But it’s reassuring that a substantial number of folks were using their Geiger counters at that moment, and inputting data into this potentially useful but probably also potentially paranoid site. I hope they do interview them beforehand, given the very divergent readings at some awfully proximate sites. 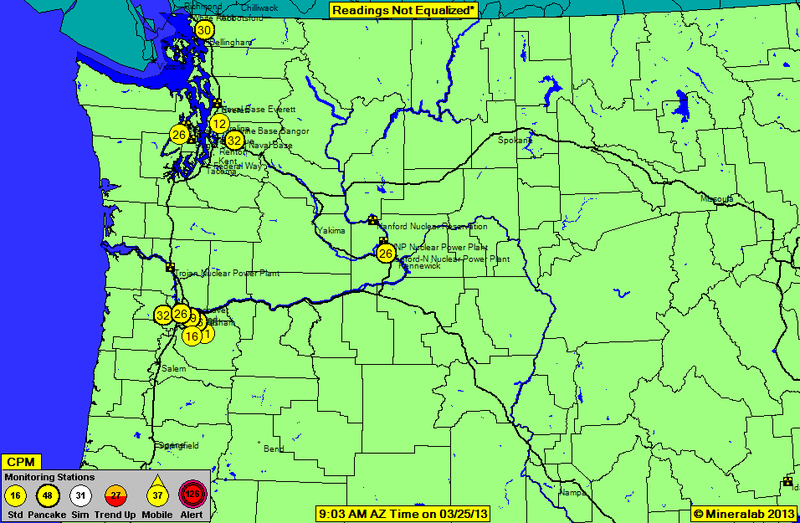 If we go to a similarly dense network on the West Coast, the folks at Mineralab offer a similar broad spread among those informants, and the odd location of so many reactors alongside rivers–no doubt using their waters for cooling, but posing potential risks of downriver contamination at the same time. Withe a week after the March 11, 2011 earthquake hit Japan, the greatest to ever hit Japan, Safecast was born as a volunteer group dedicated to open-platform radiation monitoring in the country and worldwide; in addition to over 15880 dead in the Tsunami and quake, the tsunami caused level 7 meltdowns at three reactors in the Fukushima Daiichi Nuclear Power Plant complex, necessitating evacuating hundreds of thousands of residents, as at least three nuclear reactors exploded due to hydrogen gas that breached outer containment buildings after cooling system failure. 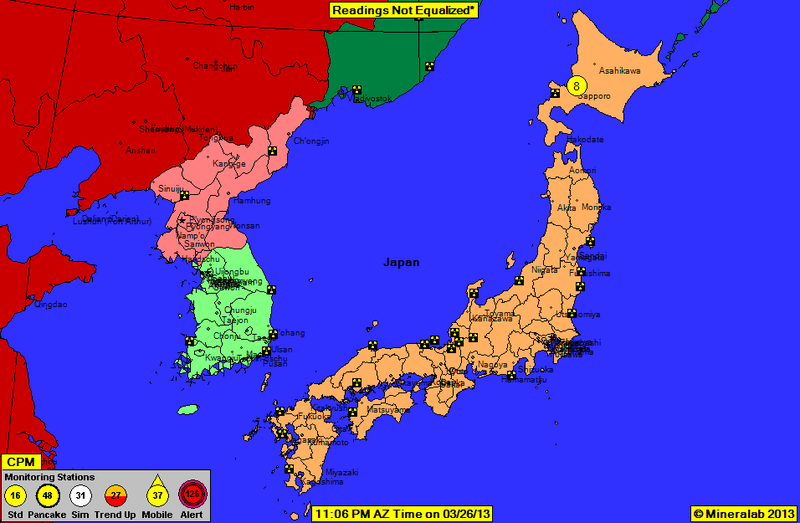 When residents were asked to evacuate who dwelled within a 20 km radius of the Fukushima Daiichi Nuclear Power Plant, the United States government urged American citizens evacuate who lived within a radius up to 80 km (50 mi) of the plant to evacuate. This rose questions about the dispersal of radiation from the plant, and deeper questions arose about the safety of returning within a set zone, or the need to demarcate an no-entry zone around the closed plant. 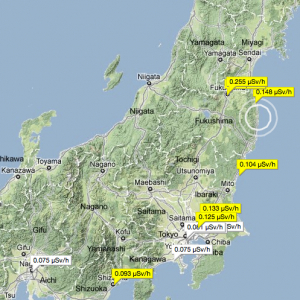 The rapid measurement of radiation distributions not only gained wide demand but provided as of July 2012, Safecast includes some 3,500,000 data points that collect radiation levels, and provided a new mode of sharing information about dangerous levels of radiation. In ways that capitalize on how the internet allows a massive amount of data to be uploaded from numerous points around the world, Safecast exploits a model of data-sharing on its open platform, offering different models to visualize their relation to each other: Safecast allows the possibility to visualize the maps against a road-map, topographic map, and map of local population distributions, so that they can better understand their relation to the readings that they’ve collated on line. The DIY glee of presenting the tool to measure radiation levels with one’s own mini-Geiger is part of the excitement with which Safecast promises to provide a new map of Japan’s safely habitable land. The excitement also derives from a belief in the possibility of “empowering” people to measure and compile data about their environments, rather than trust a map that is assembled by “experts” or official sources who have not been that forthcoming with data-measurements by themselves. The above smile also reflects the vertiginous success of Safecast in distributing its bGeigei, and the boast to have amassed an open-sourced database for open access. The means for offering locally contributions to a world map of radiation level distributions reveal an expanded ability to share information in a map the relation of place to environmental disasters. 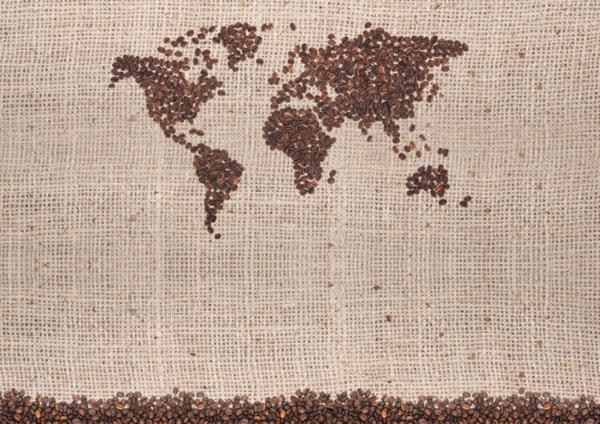 Indeed, the map itself foregrounds new graphical forms of information-sharing. 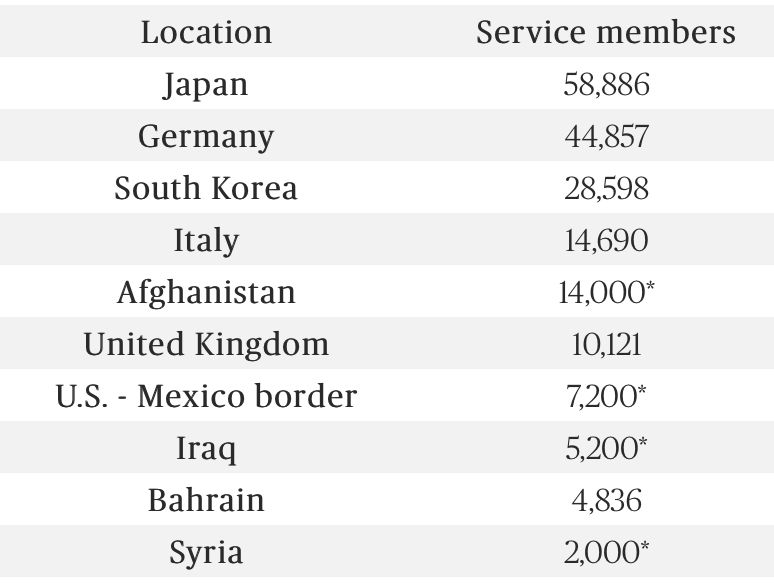 There are clear problems with the Safecast model that Japan, in fact, is likely to be an exception to: Japan was a place providing access to large numbers of its population already in 2003, offering free wi-fi in trains, airports, and cafés or tea houses. In comparison, the far more limited numbers of the population have access to wi-fi or online resources in rural American towns, or even in urban areas, would make access questions less possible in the United States, where a similar movement has failed to expand not only because of the lack of a disaster of similar proportions. There is the danger that the “freedom of information” they champion is in the end not as openly accessible as one would wish: if roughly one quarter of hotspots worldwide are in the United States, it shared with China and Italy the lowest number of hotspots per person, at lower than 3 per person as of 2007, while Japan had nearly 30 million 3G connections. This creates a significant obstacle to the expansion of the internet as a universal access service outside urban areas with municipal wireless networks, despite the significant plans to expand internet access on interstates. Despite plans to expand free service zones in Asia, Canada, and parts of the Americas, the broadcasting of regional variations in a natural disaster would be limited. There may be something oddly scary that Safecast has had its own corporate profile and successful Kickstarter campaign, marking the privatization of the sort of public traditions of cartography formerly undertaken by states for their own populations to devolve to the private sphere. For whereas we have in the past treated cartographical records as an accepted public good, there is limited acceptance of accessible data collection and synthesis. As a result, one seems more dependent on the active participation in one’s construction of a more accurate of radiation levels, or upon a network of vigilant vigilante cartographers who can upload data from wi-fi zones. Is there the risk of a disenfranchisement of a larger population, or is data-sharing the best available option? 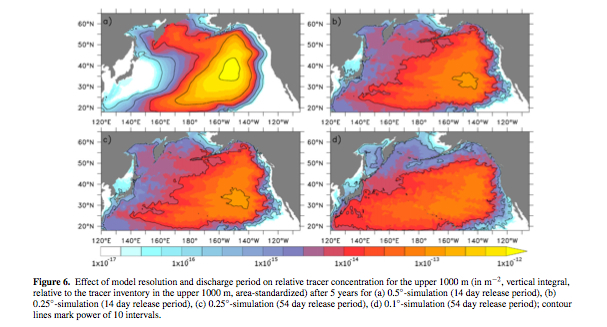 An alternative model for mapping radiation might be proposed in the compelling map of the oceanic travel of radiation (probably in contaminated waters, but also in physical debris) that has been suggested by vividly compelling cartographical simulations of the dispersal of the long-term dispersal of Cesium 137 (137CS) from waters surrounding the Fukushima reactor. Although the map is indeed terrifyingly compelling, in relying only on oceanic currents to trace the slow-decaying tracer across the Pacific, the video map seems to arrogate capacities of measuring the dispersal over the next ten years of radioactive material in ocean waters with a degree of empiricism that it does not in fact have. How ethical is that? For all the beauty of the color-spectrum map of a plume of radiation expanding across ocean waters–and the value of its rhetorical impact of strikingly linking us directly to the reactor’s meltdown–its projected charting of the plume of contaminated waters due to reach the waters of the United States during 2014, if normal currents continue, is far less accurate or communicative than it would seem. To be sure, as the Principal Investigator and oceanographer Vincent Rossi, a post-doctoral researcher at the Institute for Cross-Disciplinary Physics and Complex Systems in Spain, “In 20 years’ time, we could go out, grab measurements everywhere in the Pacific and compare them to our model.” But for now, this expanding miasma offers an eery reminder of the threat of widespread circulation of radioactive materials worldwide. Indeed, the charts that project the spread of radiation over a period of five years, benefitting from the power of computer simulations to map by tracer images the diffusion of radioactive discharge along clear contour lines in the Atlantic, provide a compelling chart of how we might want to look and measure the levels of radioactivity in our national waters.